Manitoulin Island, Ontario has become a place that Glen and I often venture to throughout the year. Glen and I's new year always involves convoying to the island with 15-20 friends to celebrate and mini vacations are always spent there in the summer season. 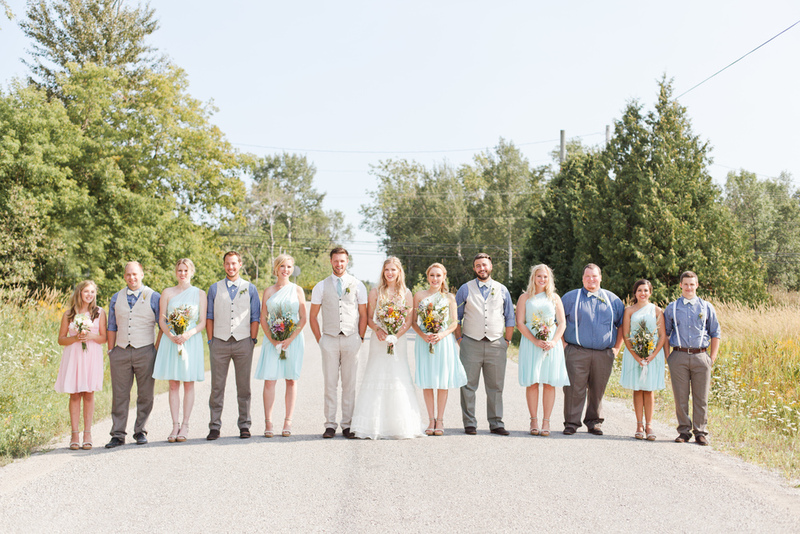 This past summer it was such a joy to photograph Abbie and Andrew's wedding in Little Current, Ontario, a quaint town on Manitoulin Island. Abbie and Andrew are, yes, you've guessed it, friends of friends that we've met during our time up north. Abbie and Andrew's wedding day was absolutely perfect. 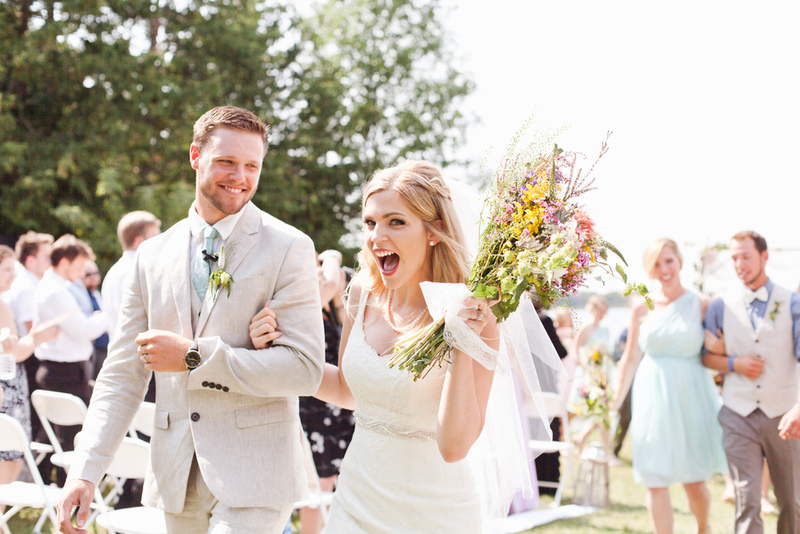 The weather was bright and sunny, making their outdoor ceremony as beautiful as can be. If you you've been to Manitoulin Island you will (hopefully!) know of the famous Farquhar's ice cream. Abbie and Andrew had a booth set up for after the ceremony where all the guests were treated with their ice cream to cool off in the heat. The bride and groom as well as the bridal party and I, ventured off to some country roads and the Little Current harbour to take photos. The evening wrapped up with celebrating at the Manitoulin Hotel and Conference Centre for lots of merriment and celebration! The three of us even got to sneak away to take some sunset photos at the Sunset Motel + Cottages where their ceremony was held earlier. The entire day Abbie and Andrew's friends and family were overflowing with love for the two of them. Abbie and Andrew - thank you for having me document the best day of your lives! Photographing your love was contagious - you guys are the best!